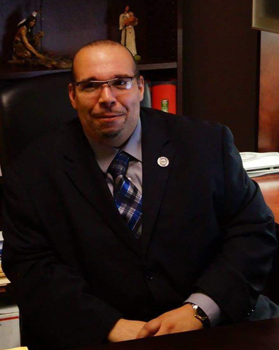 Charles “Bobby” Foster has over 14 years of experience in tribal government and operations. He’s served three terms on Tribal Council and six years as the Tribes Asset Manager. He’s managed and executed multiple simultaneous projects and policy initiatives utilizing a team oriented approach congruent with traditional values and principles of self-determination. He’s Developed, introduced and enacted laws, policies and statutes that reinforce the sovereign interests of the Mashpee Wampanoag Tribe and its members. He’s served as the liaison for the Museum Committee, Meeting House Committee, Housing Committee, Election Committee, Pow Wow Committee, Ball Committee, and Public Safety Commission (Homeland Security Board). He established the first Mashpee Wampanoag Tribal Police Department and worked on and implemented an MOU with the Town of Mashpee, City of Taunton and Barnstable County Sheriff’s Dept. for Material Aid and Detention (Police, Fire and Emergency Services). He was appointed to the Tribal Gaming Authority Board in 2013 and continues today. One of the tasks when appointed was to design, build and create a world class experience for First Light Resort & Casino that is unprecedented regionally and nationally in the gaming resort industry. Today we are on our way to bring First Light Resort & Casino to fruition for our people the Mashpee Wampanoag Tribe and the City of Taunton.